If you have been keeping a close eye on the news section lately then you might remember the mysterious SM-G891A, that was spotted in a package heading towards AT&T a couple of days ago. The scoop was originally picked up by Evan Blass (@evleaks), along with a quite justifiable assumption that the device currently undergoing testing at the carrier is actually an upcoming Galaxy S7 active. Today, the plot thickens even further, as the reputable leakster has apparently sank his teeth even further into the issue, uncovering that the SM-G891A is actually codenamed Samsung Poseidon. This is yet another clear indicator of the "active" nature of the handset in question. And, considering the already stated model number similarity with the S6 active - SM-G890A, all signs suggest an S7 active is incoming shortly. That SM-G891A in testing at AT&T is known as the Samsung Poseidon. Again, even with the new available information, the whole story still begs the question as to what exactly the S7 active will offer on top of the Galaxy S7's already impressive feature set. 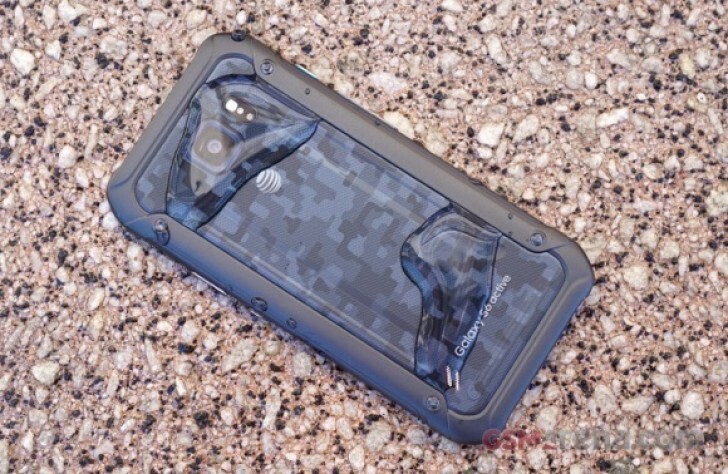 A bigger battery seems likely and the codename would point to salt-water resistance, but with the basic lineup now offering both waterproofing and a microSD card slot, it will be interesting to see whether the Galaxy S7 active provides quite as big of an upgrade incentive as the Galaxy S6 active did last year.